The most frequently asked question about Acupuncture is does it hurt? For the most part, no, but there are certain points that can be more sensitive than others. The sensations patients feel at times when receiving Acupuncture vary in intensity but can be described as tingly, pulsating and sometimes electric. These initial sensations frequently subside during the session. Most patients will feel very relaxed during treatment and many will fall asleep. Typically, the needles will stay in for 20 to 30 minutes depending on what’s being treated. More and more insurance providers have Acupuncture benefits. In order for us to know if yours does, we’ll need a copy of your insurance information to verify your benefits. If your deductible has been met, we will file for your benefits. This does not exempt you from paying co-pays or paying for herbs, homeopathics or other take home therapies. Until your benefits are verified, payment will be made at the time of service. What Happens to the Needles When They Are Removed? All needles are disposable single use needles as required by law. After they are removed, they are placed in a Sharps container and disposed as medical waste. How Frequently Should I Come for Treatment? The frequency of treatment is dependent upon the condition. Chronic pain problems generally take longer to heal than those that have only recently developed. At the time of your first evaluation, Dr. Rowe will discuss with you a treatment plan that will outline what to expect and the number of sessions required for the optimal result. A large part of our four year training is spent studying Acupuncture point location, the indications of Acupuncture points and how to create prescriptions by combining points. Beyond that DOM’s have extensive knowledge in anatomy and physiology that allows them to pinpoint exact point locations and to evaluate where the ideal areas of treatment reside. 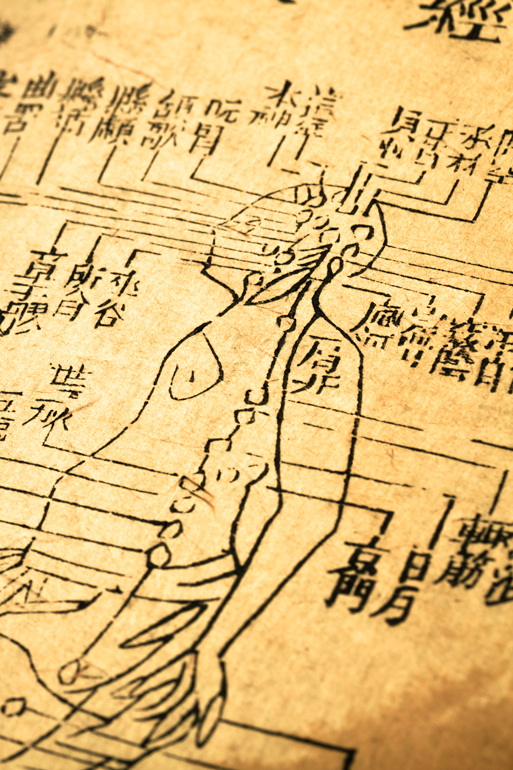 When discussing Chinese Medicine the term “Qi” frequently is mentioned, but what is it? Qi, pronounced “chi”, is the energy that permeates the universe. Without this energy there is no life. Qi deficiency – symptoms may include fatigue, sluggishness, pain relieved by pressure and weakness. Qi in excess – symptoms may include: anger, localized pain, and headaches. Stagnation of qi – symptoms may include: pain with swelling, frustration, bloating and systemic sluggishness.